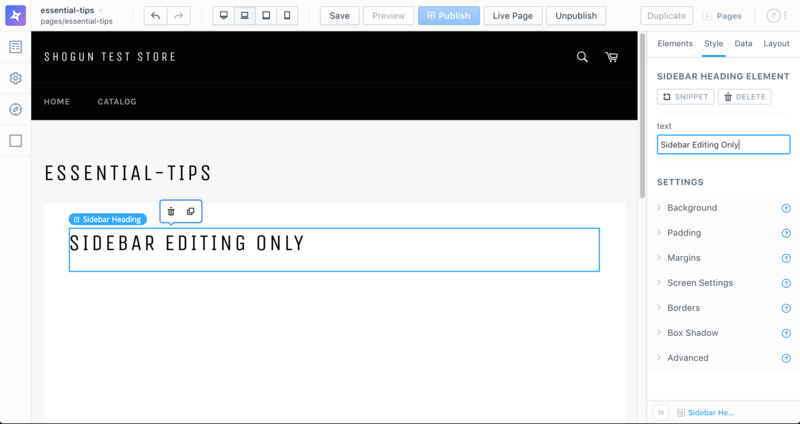 Avoid using ids as custom elements can be reused multiple times on the same page. 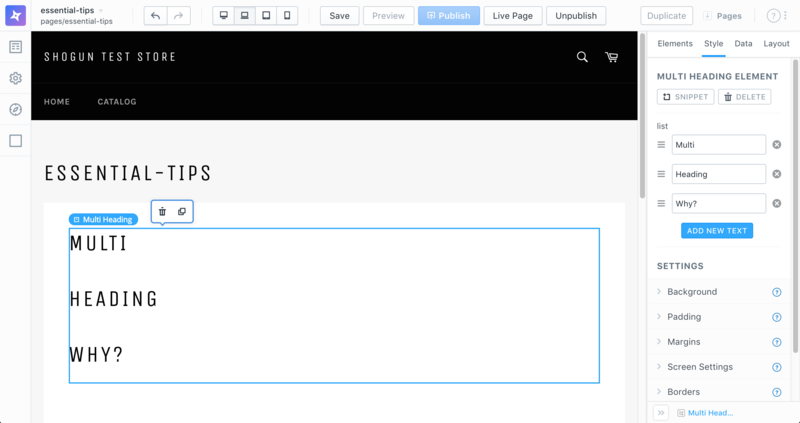 If you add CSS using the CSS tab, the styles will be included in a css link tag on the live page. The styles from multiple custom elements are concatenated together and served in a single minified file. Make any styles specific to the template using classes if possible. When you stop typing into the liquid editor, Shogun will parse the variables and configuration options (explained below) will appear. Every liquid variable in your template should appear in the right sidebar allowing additional configuration. There are 3 things to configure for each variable, and they control how users will interact with your templates inside of the editor. Should this variable be controlled by user input, or from a Data Collection? 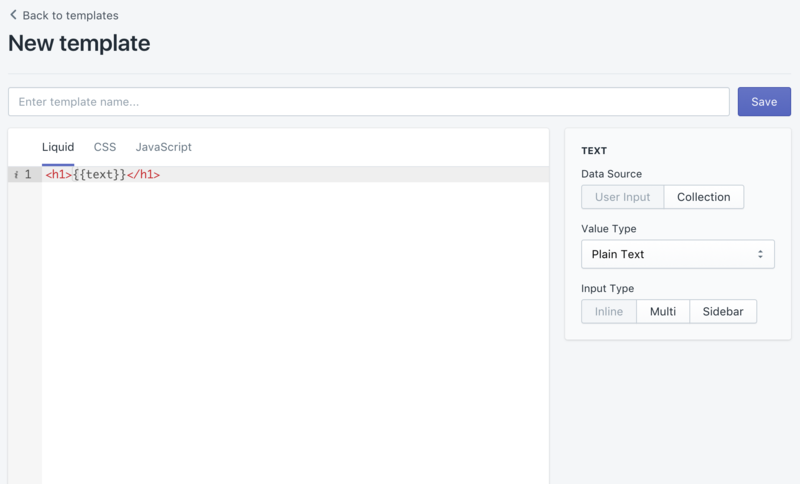 When controlled by User Input, users will get to fill in values for the variables when they drag the template into the editor. For Data Collection, users will either get to pick a single Entry from your chosen Data Collection, or in the case of a multi variable (more below) all of the collection entries will be used in place of the variable. For more on Data Collections, see the Data Collections Tutorial. What type of value should the user provide for each variable? How should the user enter a value for this variable? The first 3 examples below illustrate the description of configuration above. Each time you save a template in Shogun, a new version is created. New versions of pages that are using the template are also created, but those aren't published automatically.